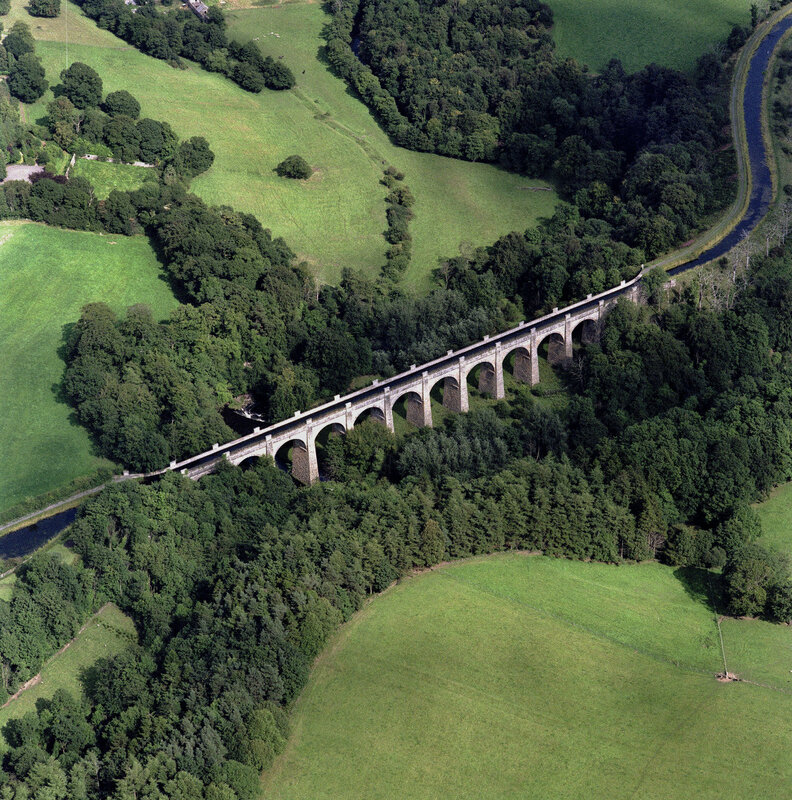 This is the second largest aqueduct in Britain and the largest in Scotland. It measures 247m long, 25.9m high and 7.2 m wide. All three aqueducts on the canal use the same construction of hollow stone piers and arches spanning 50 ft. The water is channeled over in an iron trough. The canal's engineer Hugh Baird consulted Thomas Telford over this innovative design. There are canal boat trips to the aqueduct from Linlithgow. WALK: Muiravonside Country Park. There is access to the park from the towpath at the Avon Aqueduct down a series of wooden stairs. The park contains a Visitor Centre and a mini demonstration farm. The River Avon trail runs through the park. For more details visit http://www.falkirkcommunitytrust.org/venues/muiravonside/.